The 1980s and early 1990s were a time, the world over, of increasingly stereotypical confrontations between industry and environmentalists. Ecological considerations formed no part of industrial productive strategies, argued environmentalists. Industry treated the ecosystem as a vast self-replenishing raw material procurement facility, and as a convenient dumping site. Nonsense, thundered industry captains. They would not be blackmailed by bird-lovers; nothing could compromise profit-margins. From the early 1990s began a time when this confrontation began to resolve itself. The factors that caused this turn of affairs were wide-ranging -- civil society's increasing experience of the effects of environmental abuse and refusal to countenance corporate denial; new management paradigms and practices that spoke of environmental efficiency as positive; shareholder pressures; and, most crucially, policy directions and regulatory measures by governments that forced industry to look for a clean-up act. In essence, there emerged a realisation that finite resource use had embedded economic benefits. This confrontation has not ended. But in the West, it has led to strategies -- technological, managerial, process- and product-based -- where economic and environmental considerations are no longer thought to be incompatible. Companies in the West have realised that balance sheets and a cleaner environment do sometimes complement each other. What about Indian industry? It is mired in poison, and must now look for a cure. By hook, crook or vision. The simplest way out is the technological fix: import. But sadly, this won't work. Because solutions offered by the developed world apply only to the large-scale sector, while the major challenge in India lies in developing clean technologies or viable pollution control systems that work for the medium and small sectors. Both sectors rely heavily on natural resources, and are heavily entrenched in the rural economy. 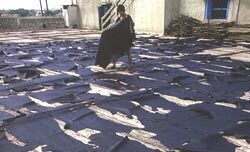 The small-scale agro-residue based paper and pulp industry, tanneries, or molasses-driven distilleries do not exist in the West. But in India, they are part of a small-scale sector that accounts for 40 per cent of industrial production, 35 per cent of direct exports and -- here is the rub -- 60 per cent of total industrial pollution. Each year, between 100,000 and 150,000 small-scale units open shop, leading to a question: will such entrepreunarial boom lead to ecological bust? It need not. But where is the awareness that the search for an indigenous cure has to begin at home? In its 10th five-year plan, the government of India envisages an 8 per cent GDP growth rate, for it wishes to double the country's per capita income in the coming decade. This, says the plan, requires a 10 per cent growth rate in the industrial sector. The plan is a noble one, except that this growth is not going to be a pollution-neutral one. It cannot be so. It cannot be so because government's regulatory mechanisms are either non-existent or completely weak. Industry today guzzles resources and pollutes freely because it can do so; what might happen in the future if such a scenario persists is too frightening to even imagine. On its part, industry's investment in research and development is as miniscule as the government's intent to achieve pollution-neutral growth: on an average, it is a pathetic 0.1 per cent of total turnover. In addition, most Indian industrialists prefer informal solutions to structural problems, solutions such as the readily-corruptible local politician or toxic sludge surreptitiously disgorged into a stream at night. Perhaps the greatest problem is that environmental managers in Indian companies today are a marginalised lot. They could lead their companies to pollution-neutrality, but currently lack fiat, or clout. This became clear when the Green Rating Project of the Centre for Science and Environment set up an Environment Manager's Award to make visible the efforts made by professionals in imbuing companies with an ecological vision. Such managers exist only in large companies; they are not taken seriously. Environmental commitment, it seems, isn't serious business enough. The environmental manager will have to be the chief innovator -- by finding solutions to the challenges of this century. India's 2,500 tanneries churn out 1.8 billion square feet of leather every year. They earn the country US $6 billion annually as foreign exchange. They also discharge about 24 million cubic metres of wastewater with high COD, BOD and TDS concentrations, and about 0.4 million tonnes of hazardous solid wastes per annum (Environmental Management in Selected Industrial Sectors, CPCB and MEF, 2003). This contamination overload is the outcome of the highly polluting chrome tanning manufacturing process, used by about 80 per cent of Indian tanneries. Technologies that curtail pollution in this sector are almost exclusively targetted towards large-scale tanneries. The small- and medium-scale plants, which dominate the industry, have few options. They either pollute blatantly or resort to temporary solutions. There is also a problem of non-compliance and resistance to change. Though India's pollution control regulations for the industry are tame compared to global standards, most tanneries choose to ignore them. Chrome recovery technologies developed by the Chennai-based Central Leather Research Institute (CLRI) have been summarily rejected by the industry as commercially unviable. The CLRI, however, claims the cost of its chrome recovery unit is between Rs 3.5-10.0 lakh (based on size), with a payback period of just two-three years. 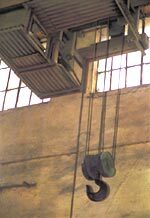 Although substantial scope exists for recycling process water in tanneries, the industry gives this vital area of operation the slip. 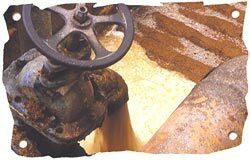 Neither has it taken to biomethanation for treatment of tannery fleshing and sludge, being implemented at a few sites. Why are Indian tanneries such rigid non-conformists? To all appearances, they do not have a valid ground for not meeting standards or rejecting new technologies. Making pollution control technologies work for medium and small industry is still a distant challenge. Distilleries pollute. In India, they pollute with total impunity. An unholy nexus of politicians, bureaucrats, regulators and industry, this sector is foremost in not complying with pollution norms. The minimum national standards (MINAS) for the sector were set way back in 1981-82, but more than two decades after, not a single distillery unit meets the BOD and COD standards prescribed under MINAS (see box above: Awash!). Treatment procedures of spent wash, generated as effluent by the industry, have varied over the years, without contributing to any substantial reduction in pollution. The first of these -- the lagooning process, or storage of spent wash in ponds -- led to severe groundwater contamination. Some distilleries have resorted to composting, with the final compost being used as fertiliser in agricultural fields. However, it is now universally known that using distillery compost leads to a significant increase in soil salinity. The good news is that the distillery industry is well suited for agriculture-dependent economies such as India. By using renewable wastes from agriculture, it adds high value to otherwise low-value products. And the ethanol produced in distilleries, when blended with petrol, acts as a comparatively less polluting automobile fuel. Eight states in India are already using petrol with a 5 per cent ethanol content and there is a potential to increase this to 10 per cent. But the sector certainly needs to clean up its act. In cooperation with the government, it needs to concentrate on investments in indigenous research and development to find a permanent solution for treating spent wash. Institutions such as the National Sugar Institute, Kanpur and the New Delhi-based Indian Agricultural Research Institute, despite being adequately funded by the government, have not done any significant work for treatment and disposal of this highly acidic and odorous effluent. The West has the technology for treating spent wash from grain-based distilleries. Unfortunately, this cannot be used in India, as almost all Indian distilleries use molasses (wastes from sugar industry) as their raw material. Modern agriculture: the boon and the bane of India's teeming millions. The boon, because it has ensured that the nation's crop fields remain fecund. The bane, because it has bred a poison that is seeping into our veins through the food we eat and the water we drink. Every day. Every moment. Pesticides and fertilisers, used indiscriminately to coax the land into producing more, have backfired with lethal environmental impacts: excessive mortality, reduced reproductive potential in organisms, changes in diversity of species and ecosystems, and the development of pesticide resistance in target as well as non-target species. Through our crop fields, the poison has seeped into our food chain and is present everywhere -- in milk products, vegetables, fish, grains, meat, groundwater, even in breast milk. Studies have shown that less than 0.1 per cent of chemical pesticides in India reach the target pest. The remainder is absorbed by -- and devastates -- humans, livestock and the natural biota ('Role of biopesticides in environmental safety, Science and Culture , May-June, 2000). Assuming 0.1 per cent as the effective usage rate for chemical pesticides, pesticide pollution in India could be in the range of an incredible 45,000-50,000 tonnes per annum. This, despite our limited use. Per hectare consumption of pesticides in India is only 0.57 kg, which is miniscule compared to that of USA (about 3 kg), Taiwan (17 kg) or Japan (10-12 kg). About three quarters of pesticide use occurs in developed countries. The pesticide market in these countries is dominated by the relatively less toxic herbicides. India, on the contrary, uses cheap (not under patent protection), high-potency organophosphate and organochlorine-based insecticides, which are notorious for their acute toxicity, non-biodegradability and bioaccumulative properties. Worse, about 50 per cent of the pesticides used in India are targetted not at increasing yields of foodgrains but of cotton, which has export potential. It has nothing to do with food security. This is not all. India also produces, uses and trades in pesticides which are banned or whose use is restricted in some nations because of their deleterious environmental or health impacts: between 1998-2001, the country produced more than 40,000 tonnes of these poisons (see table below: Made in India). According to the ministry of agriculture, of the 180 registered pesticides in India, 32 (about one-sixth of total pesticides used) have been banned in other countries. Monocrotophos, a highly toxic insecticide whose registration was canceled in the US in 1988, is India's top-selling pesticide. Of course, there is also the usual production knot: bulk of the country's pesticides is produced by the unorganised sector, which has inadequate facilities to treat the toxic and non-biodegradable pollutants generated by the manufacturing process. Incineration, which is being promoted as a panacea by the central pollution control board and ministry of environment and forests, is hardly a solution: it can release poisonous compounds like dioxins, monitoring which is difficult in India. One of the alternatives before industry is a shift to biopesticides -- pesticides derived from animals, plants, bacteria and certain minerals. Inherently less harmful and polluting than their conventional cousins, biopesticides, when used as a component of an integrated pest management (IPM) programme, can bring down the use of conventional pesticides while keeping crop yields high. In fact, the US promotes the alternative widely as integral to its IPM programmes; in 1998, it had more than 175 registered biopesticide active ingredients and 700 registered biopesticide products. 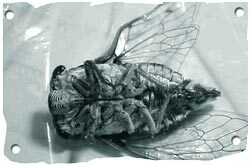 India's pest management community, however, remains blissfully unaware of the potential of biopesticides. Most state agricultural universities, on whose recommendations pest control methods are promoted, have nothing to say about biopesticides in their counsel. In the absence of active promotion and production incentives by the government, the demand for these products has not developed. As a consequence, dealers do not stock biopesticides and farmers have no access to them. Industry, obviously, has to take the bit between its teeth; this official impassivity leaves it with no other choice. It has a critical dual-mission: catalyse research and development to find better biopesticides, and initiate the raising of public awareness for the shift towards integrated pest management and increased use of biopesticides. God help us if it fails. Based on its environmental performance, Indian industry can be classified into two groups. The first consists of companies where management limits itself to worrying about how to stick to (or use to the full) standards and norms. The second consists of companies that have gone beyond 'regulatory requirements'; these have operational systems driven by the environment's corporate vanguard: environment managers. An environment manager monitors pollution control systems, environmental audit of their companies, interacts with regulatory bodies, procures certification and tries to integrate eco-friendly activities with the day-to-day operations of their companies. It is their work that brands a company as 'environment-friendly'. But most of them remain relegated to the corporate backrooms all their lives, unappreciated even by their own managements. It is on these environment managers that the future of industry's relationship with environment depends. On them depends industry's very survival, for an environmentally unsustainable industry is a recipe for disaster. To emphasise on this vital truth and to recognise these managers' contributions, CSE's Green Rating Project has instituted an award for the 'best environment manager' in Indian industry. The survey for this first-of-its-kind initiative in the country was completed in April 2003. Support from industry was immediate: 74 nominations were received from companies such as Ford, Xerox Modicorp, Philips, Ambuja Cement, ITC, HCL, Tisco, Glaxo, BHEL and Ranbaxy. The diverse profiles of the nominees pointed to the variety that existed in the profession. Vice presidents and general managers, directors and senior managers vied for the top spot. Working experiences ranged from more than 30 years to less than two years; responsibilities, from providing overall guidance and vision to the environmental aspect of the business to mere liaison with state pollution control boards. The survey also generated information on critical trends in the state of environment management in Indian industry, and on the kinds of environment protection initiatives taken. To begin with, all the 74 nominees came from large-scale companies (the second group in Indian industry). Nominations from small and medium enterprises were conspicuous by their absence. Majority of the nominees represented well-known companies that had a presence in global markets. Fourteen nominees were from MNCs. This indicates that liberalisation of the Indian economy, its increasing interaction with global markets, and corporate image are contributing to pushing companies towards better environmental management. Of the 74 nominees, only 19 represented a department that catered exclusively to environment. The rest came from departments which environment shared with other specialities like quality control, health and safety, operations, production or R&D. Though the association of environment with health and safety is now being recognised as valid, the others are symptomatic of the lip service that companies usually pay to environment management. CSE also found that a majority of the nominees did not have enough decision-making powers. More than 60 per cent of them represented middle management (managers, deputy general managers, etc); only nine managers belonged to the higher management level (vice presidents, directors, etc).